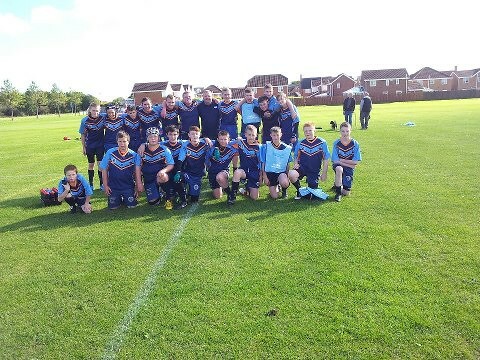 Peterlee Pumas Junior section were the first to get rejuvinated club's season under way. starting on the 14th of March, Durham Tigers arrived with two well drilled 13s and 15s sides in a 9 aside festival, which gave the two young Pumas sides a good grounding with many having not played much rugby both sides kept the opening rounds very close, Durham won both games but certianly a lot to take from and work on for the Pumas. on the 21st March, Winlaton travelled with under 15s to Helford Road and gave the Pumas an opportunity to put the lessons learned to the test whilst still blooding more youngsters to the ever growing junior sections.The first half was a very close encounter, Winlaton opened the scoring and the Pumas had to fight for every point. Peterlee broke away against a tired defense in the scond half but both teams deserve credit for putting some good rugby together both will be teams to watch during the season. Next Up for the Pumas is the Re-formed Open age team, with a lot of the previous two years side unavailable due to either going to University, the Forces or demanding work committments a new team has grown, new coaches, new management, some older players returning and a lot of Youngsters upholding the Pumas Tradition of reliance on their Youth Devolpment system to feed the open age. New Member ship rules, £20 p.a., £1 subs to train and a two tier match day subs to help the youngsters out £2.50 and a higher amount yeat to be confirmed is ensuring a strong committment from those who would like to play for the Pumas this year and already, great numbers at training are showing their will be a fight for places each week. The Pumas next games are in Good Friday when the 13s and 15s travel to Kingston Park to play in anothe r9 aside festival, then the Pumas will host a Huge Junior 9 aside festival on the 11th April with teams coming from all over the country as well as the North East teams at 13s and 15s which will go on into the Sunday also as many of the travelling teams will staying for the whole weekend and will be the innaugral event of its kind which the club hope to keep going every year. Also that day, the Pumas Open age will be Playing thier first of a series of games against clubs from the Heartlands of Rugby League, which is set to be an annual cup competition on each occasion, firslty against York Lokos on the 11th, then Sherburn Bears on the 18th then finally against Methley Royals on the 25th April. Peterlee will then enter the Norht East Rugby League 1st Division with a view to playing return fixtures to York, Sherburng and Methley in August/September, dates to be arranged. A very exciting time to be a Pumas and with more sponsors than ever before, the Pumas new open age kit will be looking the part also. With Bloomfield Financial taking the Main Shirt Sponsor Spot and also offering great financial deals to all Pumas, the back of shirt is taken by the Fitness Factory Gymn, again offering a great deal on memberships, the Sleeves are taken up with Gem recruitment and VFM Windows, whilst the Collor deals are going to Kinnersleys and Brigh Ideas. 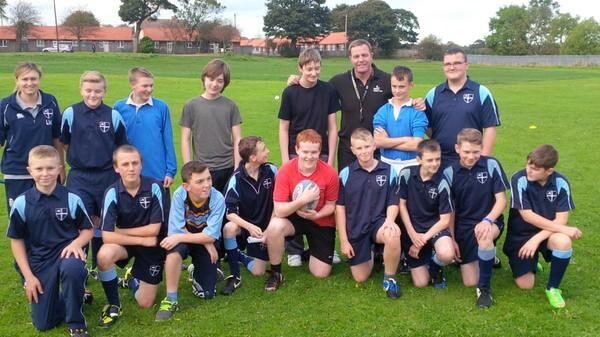 Former Great Britain Forward and Sport England Sporting Championg Paul Broadbent came to Wellfiedl School For the 3rd Time Last week to deliver Rugby League to the every growing Peterlee Pumas Satalite Club. When Paul originally came to the seession back in June, the new club had just 9 players regularly attending, this grew to 15 by the following week. Now the Satalite has over 30 members, regularly reaching attendances around to 25, to 27 mark. Wellfields Head of P.E. 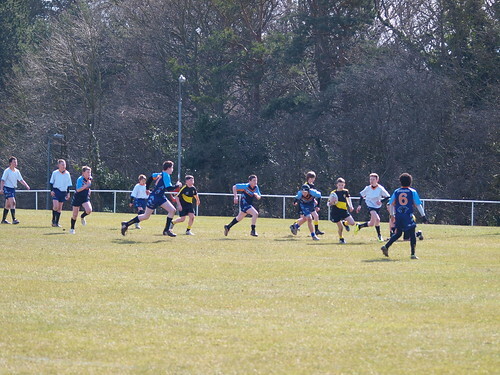 Graeme Smith Said, "The pupils at Wellfield have benefited greatly from the regular coaching provided by the Peterlee Pumas, and we have had several pupils go on to play for the club. The satellite club has had 2 visits from Paul Broadbent, the ex Great Britain and England forward, passing on his skills and sharing his experiences with our pupils. These visits have inspired our pupils to want to do better and commit to playing sport, in particular, rugby league. The sessions, led by Rob Laverick and supported by ex-Wellfield pupil Boawe Rankin, have proved very popular with, particularly with our Year 7 pupils." The clubs Coaches also benefited from the visits, the fact that we can get someone who has played at the highest level of Rugby, in challenge cup finals, world cu‎p finals, who has represented England and Great Britain several times is absolutely great. The potential for Rugby League is huge and to be able to show that the sport and the stars of the sport care enough to come and deliver and both pass on their knowledge and experience to not only the kids but the Pumas coaches also is another big step forwards for the Sport of Rugby League in the area. The club hopes to be able to get into the other schools both primary and secondary and continue to spread the game to more and more people. Most importantly, the players are enjoying it and learnign immensley and lots of good feed bak from Pupils backs up the ever increasing numbers at the sessions. I really enjoy the satellite club at Wellfield School. The coaches have helped me build my confidence up with rugby playing and meeting new people. The satellite club is helping me to stay fit and I look forward to going each week. I really enjoy playing rugby for the Satalite club which has now improved my sporting ability and has encouraged me to play for Peterlee Pumas u14s. 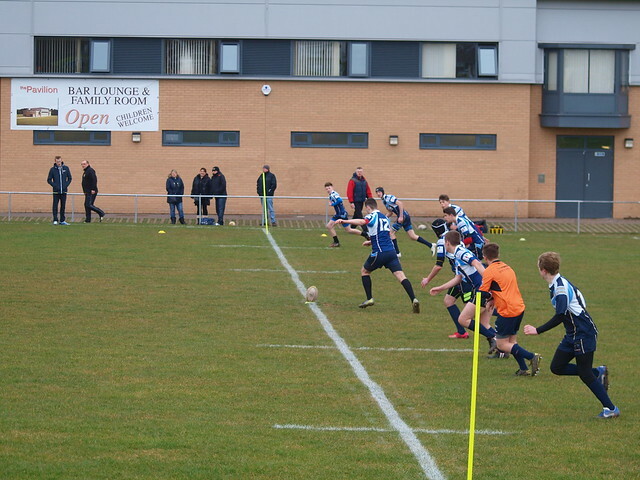 The Pumas under 16 season got away to a flier despite the game being delayed starting due to what is a terrible pitch at Gateshead anyway but also was now waterlogged. Pumas were up and running quickly with an early try in the corner by Ben Armstrong off a strong pass by Halfback Joe Willis converted by Fullback Niall Sidney from roughly 40 yards out. 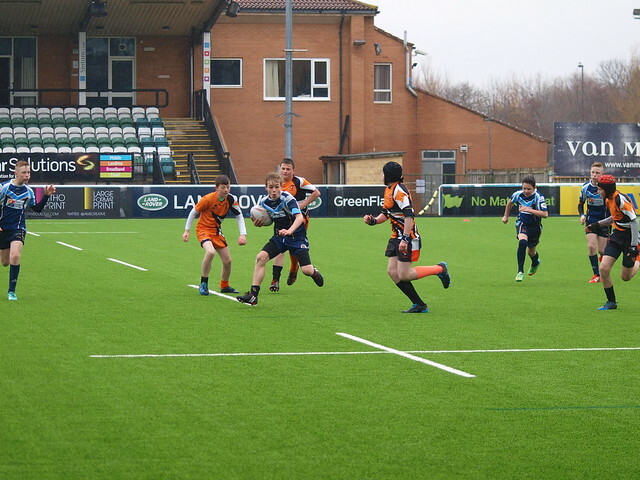 The Storm defence had several reprieves with a period of poor set completion from the Pumas Pack but an inside ball from Joe Willis put Prop Forward Ryan Smith crashing through the home sides defensive line to go under the sticks to score fullback Sidney Converted.